A few years back have anyone ever thought that food, medicine, and other services will be available on finger tips? If someone could have even imagined people might have called him mad or thought that he or she dreams of the day. Today scenario has been changed, either people do not have time to go to the restaurant, medical shop or they do not want to go. Whatever may be region the online demand and delivery has become and important part of our life. Let us go a few years back, to find out the region. In past people used to have enough leisure time to go outside because the workload was less, the family used to be combined family, so work got distributed among the family members. In current era the work culture has been changed, there is more workload and even though the family has also become nuclear family. In the case of 1st tire city, the situation is much different, husband and wife both are working so none of them have time to cook food at home. Few families are there where ladies are not working but in such case TV serial does not give time to cook. People have also become more tech savvy by nature so they want everything as a readymade and on demand. Online food delivery system provides choice, convenience and allowing customers to order from a wide range of restaurant with a tap of their mobile phone. 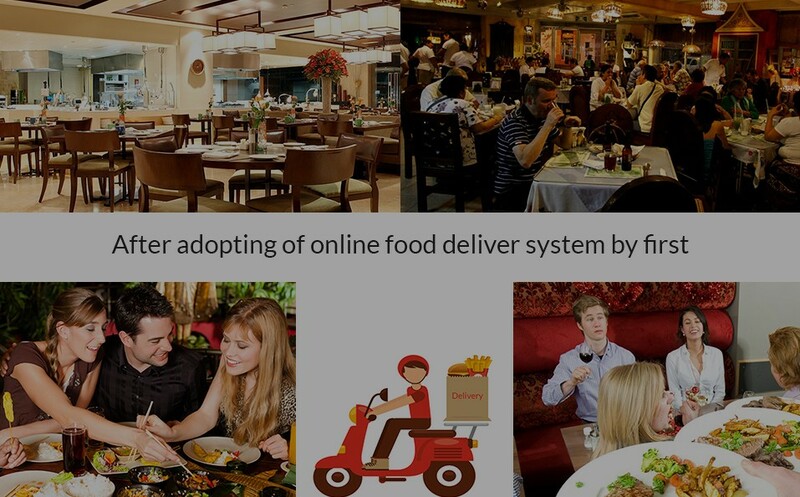 These are the main region for booming of online food delivery system. As per the report from Times of India Feb 2016: India's online food delivery market grew at 150 percent in 2016 with an estimated GMV of USD 300 million. As the economy of India is supposed to grow at an 7% average in coming future so the workforce will get increased which will add more to this industry. The market for food delivery is approx €83 billion, or 1 percent of the total food market and 4 percent of food sold through restaurants and fast-food chains. It has already matured in most countries, with an overall annual growth rate estimated at just 3.5 percent for the next five years. This works on the traditional model of restaurant delivery system, here orders ate taken from customers and send it to the restaurants with a single click which handle the delivery aspects. The players in this category are JustEat and GrubHub. This model has been started 15 years back. the New delivery system allows the customer to have all offers by restaurants and can place the order from a different set of restaurants through a single website or app. The order is sent to concern restaurant respectively. The main thing in this category is players they take care of logistic part. 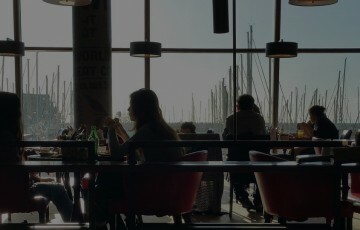 This gives opportunity them to open a new segment of the restaurant market to home delivery. This delivery system has started in recent past. The players in this category ate Food Panda and Swiggy. once the customer gets signed up for website or app they do not migrate to another platform. So early getting customers is the advantage. Speed delivery is the key factor in customer satisfaction, with an average optimal time is no more than 30 minutes. Most orders 82 percent are placed from home, while only 16 percent are placed from the workplace. So order size is a challenge. The highest volume days for the online platforms are Friday, Saturday, and Sunday, when 74 percent of orders are placed. The remaining days getting the order in good quantity is a challenge. People get bored easily, even if the food is good. The competition is very high day to day new startup company is coming in this field so retaining customers is a big challenge. Standardisation is another challenge of Online Food Delivery business. When dealing with food, you need to take as much care as possible of food standardization. Since Food Delivery segment has become quite competitive, setting up pricing is another major challenge. Again, due to high competition, it is a challenge to earn higher profits in the segment. As food items are highly sensitive products so Managing Logistics is the challenge. To keep the freshness of the food items intact and integrity is not an easy task for the players. It is also important for players to be a bridge between customers and vendor if there is any concern of customers. Food tastes best when it is best and hence, keeping food fresh during the delivery cycle is the most important challenge of food delivery. Food needs to be in particular time slots so as to retain its freshness. As long as the online delivery system is customer focused and maintain the quality of food with having good test the future is very bright. 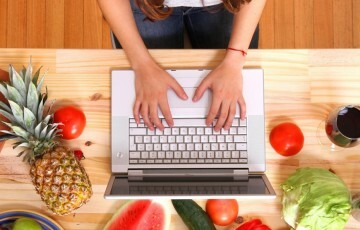 The best online food delivery application is going to play a crucial role too, with having more features.